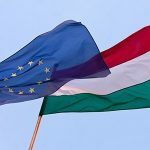 Prime Minister Viktor Orbán, in his regular Friday interview to public broadcaster Kossuth Radio, said the European Commission‘s days are numbered, noting that its mandate is set to expire next May. Orbán reacted to the recently-launched infringement procedures against Hungary over its “Stop Soros” law (read more detils here) and related constitutional amendments as well as the EC’s proposal to pay 6,000 euros per migrant to member states that accept them. The prime minister dismissed the EC’s decisions, saying that the executive body was “out of time” to see them through. Now it is all about finding a way to make it to May, he said. 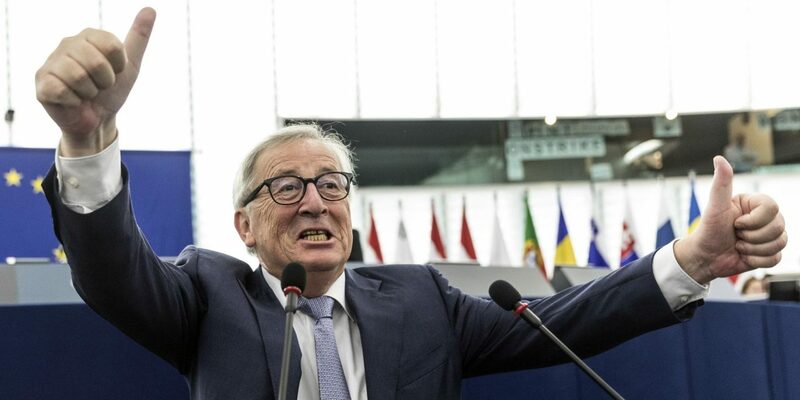 He said the question of how the EU spends people’s money was one of principle, calling the idea to give the money to migrants “a dangerous line of thought”. Orbán said the future EC should not punish countries that protect the EU’s borders. 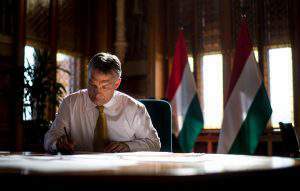 The prime minister called Hungary one of the world’s most politically stable countries. He said there was no other country where a government could secure three consecutive election victories with a parliamentary supermajority. The advantage of political stability can be used to make it clear to the world that the Hungarian government’s policies are predictable, Orbán said, explaining his busy diplomatic schedule over the past month during which he met a number of world leaders. He said the last several weeks were successful ones for Hungary, adding that his recent high-level meetings would make the country stronger and have a positive effect on the economy. 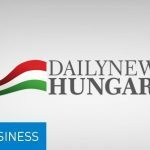 Investors can also rest assured that there are no political risks to their endeavours in Hungary, the prime minister added. As regards next year’s budget, Orbán said that as long as Hungary had a Christian Democratic government, the purchasing power of pensions would be preserved. He said his government had given back to pensioners the money that the previous, Socialist-led governments “had taken away” from them. Hungary today has a stable economy, Orbán said, attributing it to a model his government had introduced in 2010. There have however been “dark clouds” appearing in the global economy, he said, adding that nobody had the courage to speak publicly about “a crisis looming”. 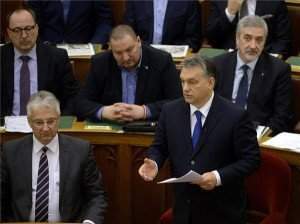 Orbán said the 2019 budget had been drafted with increased reserves to shield the country against possible “unfavourable changes in the global economy”. In response to a question, he said he expected other countries to follow in the footsteps of the United States, Australia and Hungary and quit the talks on the United Nations Global Compact on Migration. 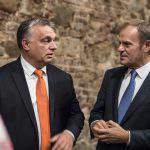 Orbán argued that since the majority of countries engaged in the talks are ones where migrants originate from, it is the interests of “those who support migration” that are being enforced. 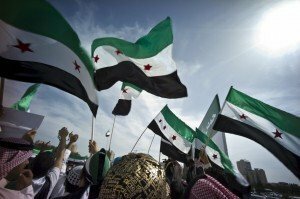 Though the UN’s decisions have no direct impact on people’s lives, the world’s governments cannot ignore them, he said. Orbán said the UN could not afford to make irresponsible remarks on the issue of migration or produce documents that go against the interests of a certain portion of its members. He said UN member states were just beginning to realise that the organisation is preparing to adopt a document that can serve as a guide to global mass migration. Though it will be difficult to enforce, Orbán called the compact an instrument of “soft power” that will influence public opinion. The prime minister was also asked about the movement of Steve Bannon, US President Donald Trump’s former chief strategist, which aims to offset the activities of US financier George Soros and organisations he supports. Orbán wished success to the spread of American conservative ideas, saying that until now, “only the liberal ones could be heard”. He said he could not remember a year going by over the past three decades without the US interfering in Hungary’s internal political affairs. The US typically interferes in other countries’ affairs through foundations, he said, adding that this practice was “hard to ward off”. Hungary defends against it by asking for transparency, Orbán said. 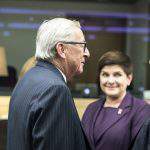 Soros’s foundations finance 67 “pseudo-civil organisations” in Hungary, he said, adding that voters should be made aware of whom Soros or Brussels are funding with the aim of interfering in Hungary’s internal affairs. On another subject, the prime minister noted that on Saturday he is scheduled to address the Bálványos Summer University in Baile Tusnad (Tusnádfürdő), in central Romania, before starting his summer holiday on Monday. “I’m at the end of my tether, it’s high time I recharged my batteries,” the prime minister said, assessing his past year.